According to an obituary of the Council of Chinese bishops, the bishop was Rector of the National Seminary in Beijing between 1983 and 1992, as well as a leader of the Patriotic Association and the Council of Chinese Bishops. 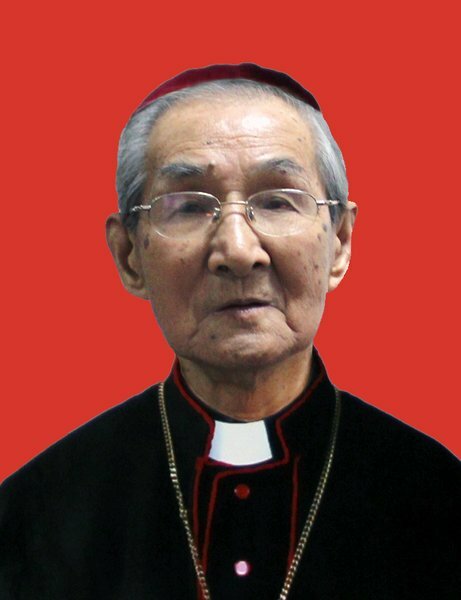 Beijing (AsiaNews) - Bishop Anthony Tu Shihua, one of the eight illegitimate bishops in China, died on Jan 4 morning in Beijing at the age of 98. Media reports said he was among the illicitly ordained bishops in China whom Pope Francis may recognize. Bishop Tu, a native of Hubei province, was one of the first self-elected and self-ordained bishops in China, ordained without papal mandate on August 15, 1959 as the bishop of Hanyang (Hubei), and later as the ordinary of Puqi (Hubei) in 2001. Bishop Tu had lived in Beijing and served in the head office of “Patriotic Association and bishops’ council" for a long time. According to an obituary of “Patriotic Association and bishops’ council” dated Jan. 4, 2017, Bishop Tu was named a leader of the Patriotic Association and Bishops’ Council for years, and was a former rector of the National Seminary in Beijing in 1983-1992. Born on Nov 22, 1919 in a Catholic family in Mianyang (Hubei), he studied at the Hankou seminary in 1931-1943, and further studied in Beijing. He was ordained a priest in April 1944. He had been standing committee member of patriotic association in 1962. Since Church activities revived after destructions of the Cultural Revolution (1966-76), he was vice chairman of national committee of Patriotic Association in 1980, 1986, 1992, and 1998, the obituary said. In 1986, he had been vice president of the bishops’ council. In 2004, he had been advisor to the Patriotic Association and bishops’ council, it continued. The obituary said he liked philosophy and was fluent in several languages, and had written articles and translated books. He had trained clergy to be “patriotic and to love the Church”. He was a frequent contributor to the Catholic Church in China an official magazine of the two government-sanctioned Church bodies. In the magazine’s first issue, published in 1980, Bishop Tu had an article titled “Carrying Forward the Spirit of the Apostles' Traditional Spirit, and Running the Chinese Church Independently and autonomously”, discussing the operations of the Catholic Church Affairs Commission, which he was due to establish.